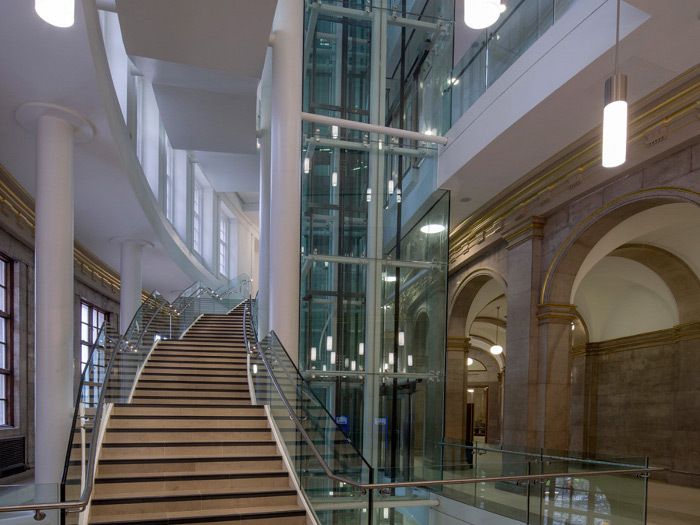 Ryder Architecture has completed a major restructuring of the iconic Central Library, being sensitive to historic aspects while adding contemporary improving features. 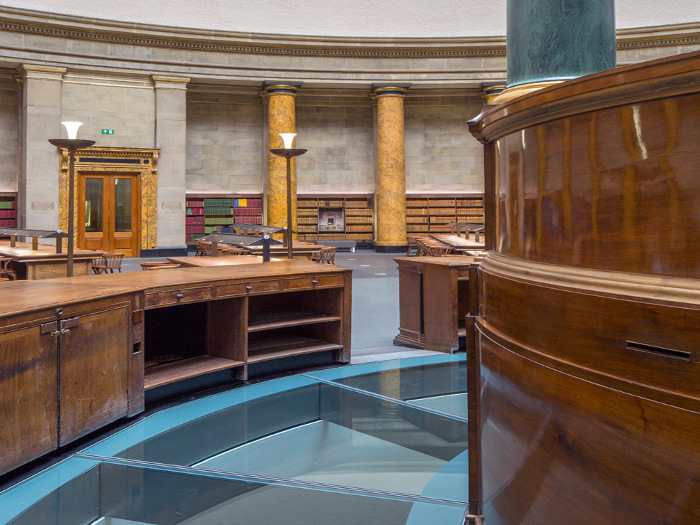 Manchester Central Library is one of the city's most iconic and well-loved buildings, but a practical and hard-working one at that, for as one of the UK's visited library it receives more than a million visitors each year. Managed by Manchester District Council the library is renowned for its extensive resources including approximately 450,000 books and other materials. 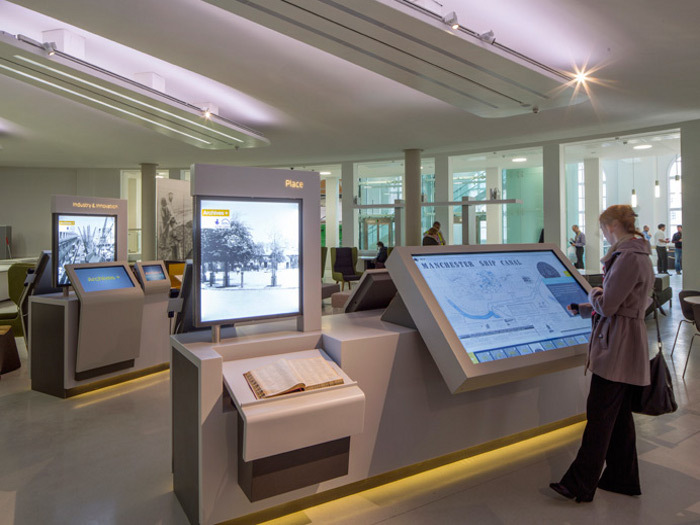 The council set about reshaping the way the library's information and archive services are delivered in central Manchester by introducing services and facilities that go significantly beyond the 'traditional' range of library services. Outlining its aims for Central Library - which include improved customer services for library and archive services, and delivering a 'service transformation programme' in line with the wider town-hall transformations to make it fit for 21st-century use - are expected to see the library's annual visiting figure to rise to an estimated two million in the future. 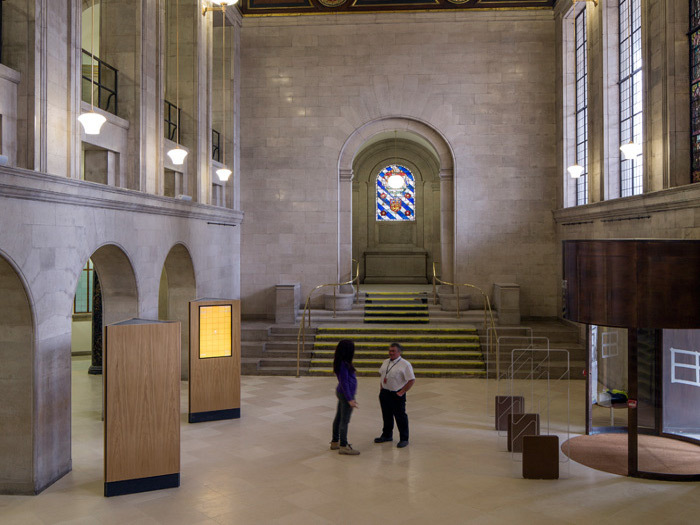 Completed in 1934 the Central Library is a magnificent Grade II* listed building designed by Vincent Harris. It has a traditional neo-classical architectural style and features two important public spaces: the Great Hall and the Shakespeare Hall, with the Great Hall still maintaining much of its original furniture and fittings. 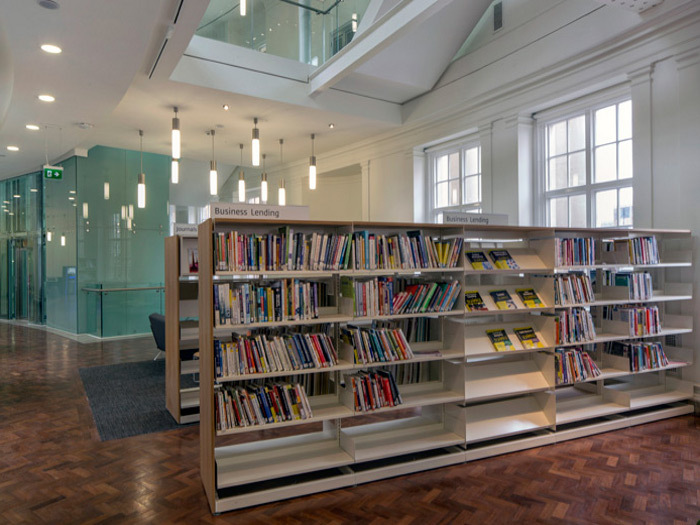 Ryder Architecture was appointed to transform, update and sympathetically refurbish the library, through a series of 'controlled but fundamental interventions', to help it meet the council's on-going services commitment. 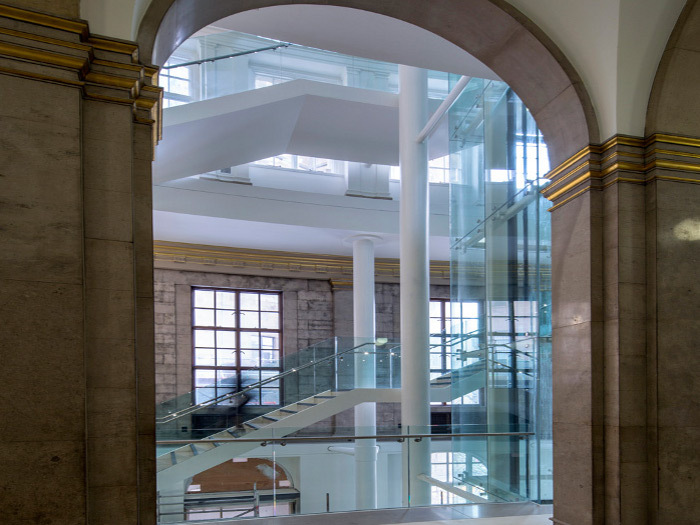 The project forms part of a wider refurbishment of Manchester's Town Hall complex, which ranks as one of the best civic buildings outside of London. The Town Hall (1868-77), Town Hall Extension (1938) and Central Library are buildings of national significance representing some of the best examples of architecture of their time, as well as serving as major public spaces at the heart of the city. 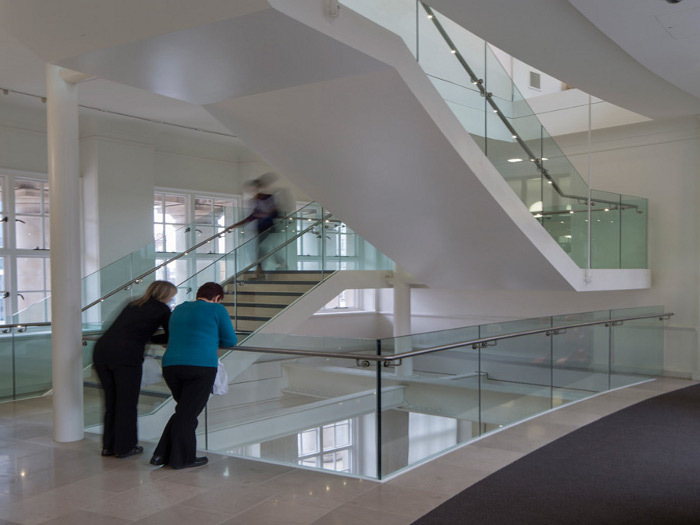 When Ryder Architects visited the library in advance of the refurbishment, the team was struck by how easy it was to lose a sense of direction from just walking around one of the floors. Focus was needed to demystify the building's layout so that users could to easily find the resources they wanted, as well as creating a natural pedestrian flow around the space. The layout from the main entrance onwards needed to be clarified to enable visitors to navigate around the building without relying wholly on signage, which the practice believes should support and reinforce wayfinding rather than instigate it. Peter Buchan, senior partner at Ryder, says: 'We knew what needed to be done after our first visit. Book stacks took up all of the space inside the building and the floors were supported on them. So we scooped it all out, replacing them with new public floors.' 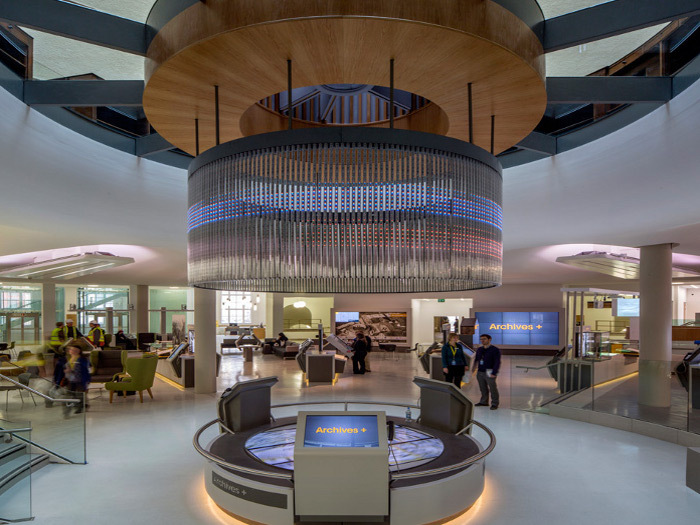 Ryder unfolded an ambitious design transformation, undertaking two bold interventions into the building's historic fabric as a way of solving the layout problem. 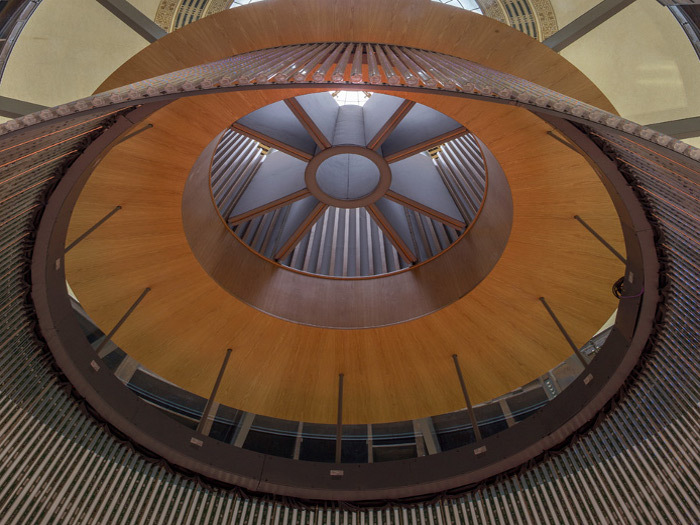 By removing the existing book stacks to create ground-level public access and the insertion of new stairs and lifts to link all the floors, better access to the building was gained. 'We negotiated ways around and through the key heritage spaces to open up a spectacular new vertical circulation route,' explains Buchan. 'This allows visitors to read and experience the whole building in an entirely new way'. But the necessary removal of parts of all the floors required radical structural consideration. Likening the intervention as 'removing the fruitcake filling from a wedding cake and replacing it with sponge, all without disturbing the icing', Ryder describes how structurally the book stacks were the 'floors and ceilings' of the four-floor building, with the shelving uprights being used to support the concrete floors. 'It's a listed building designed to be imposing in a "civic way". 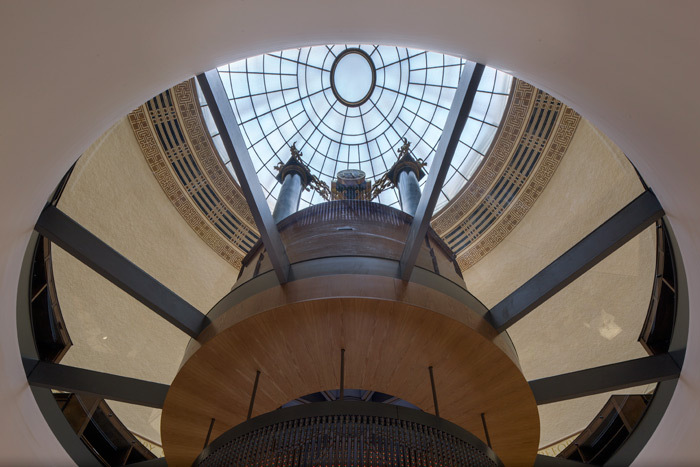 It's not particularly welcoming or inclusive,' says Buchan, adding that the team pondered 'how to undo this as well as restoring the significant key spaces and maintaining the spirit and integrity of the building? That was the challenge'. 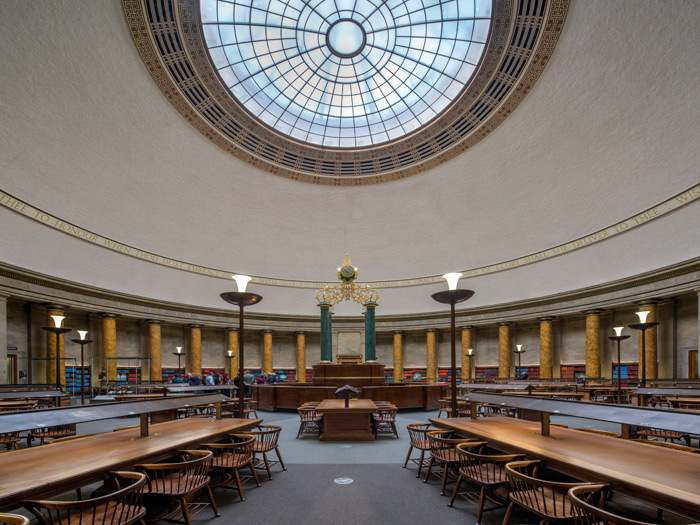 The extensive structural works was considered a fundamental requirement to create ground-level accessibility as well as serving as a long-term protection solution for the archive and treasured collections, which include the works of Victorian author Elizabeth Gaskell. Their relocation to space-efficient mechanised stacks in the basement level, allowed the collections to be housed in the correct environmental conditions. New openings have been created in each floor using new trimming steel to support them, as well as revealing a previously hidden section of external wall. Positioning new sets of stairs and lifts was key so to ensure the least possible impact on the sensitive historic spaces. A sweeping minimal steel and glass stairway and 16-person glazed lifts are startlingly contemporary when viewed against the historic fabric, and are framed in the newly created oversized opening to allow visitors to appreciate the full extent of the building and encourage exploring. A series of new columns are combined with a network of strengthening steel to support the existing structure. Opening up the ground floor to become the main public enquiry point sees daylight flow through the existing perimeter windows and through the opening to the Great Hall above, which also allows light from the glazed area in the dome to penetrate down through the first floor. 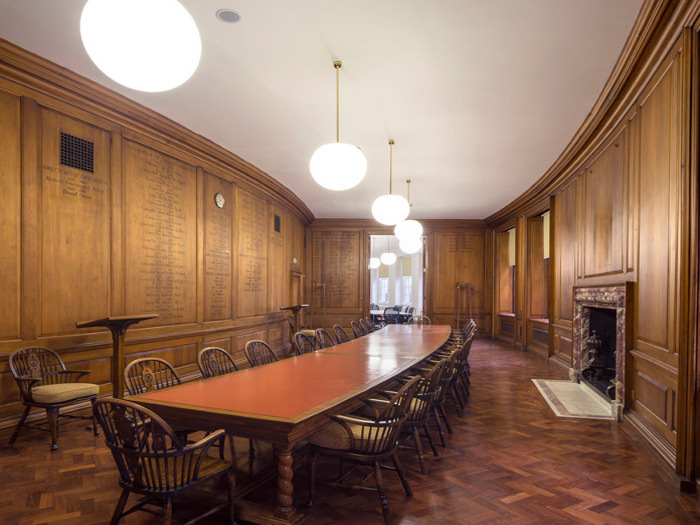 By removing all the non-original additions, and Ryder Architecture sourcing suitable replacements, the Shakespeare Hall has been restored to its original splendour and formality, and creates an impressive arrival space.